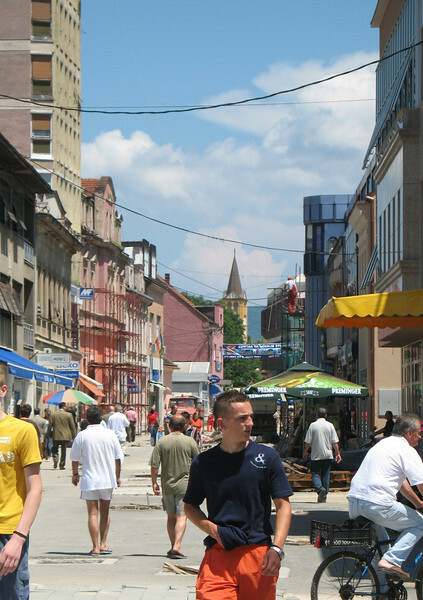 Downtown Prijedor, photographed in the summer of 2007. The new spire of a rebuilt Catholic church is visible in the background. The original church, built in 1896, was destroyed by Serbs in 1992. Photograph by Benjamin Moore.